I am not a big swimmer at all. I have a huge fear of large bodies of water but I've always been determined that it won't affect my children so I happily take them swimming (as long as Chris is with me). I find swimming really stressful. My phobia combined with the fact that I have two children to get there (I don't drive), changed and looked after in the pool means that I'm a nervous wreck! Huggies very kindly sent me some Little Swimmers nappies to try out with the kids to see if they could help alleviate some of my worries. I received two packs of size 3-4 (14-34lbs) E and two packs of size 5-6 (26-40lbs) for C.
Firstly, I loved the designs on the front. No one likes a plain nappy and C was especially chuffed to see Nemo as it is a movie that he has been recently introduced to so he recognised the character. This is a lovely touch and a great way to get kids excited about wearing them. Size-wise, they're absolutely perfect and not bulky underneath their swimming costumes. I'm not sure on the kids exact weights but I chose the sizes going by what size regular nappy they wear. I take the kids to visit my parents at the weekend and on some occasions in the past, it's been hot enough to get the paddling pool out. 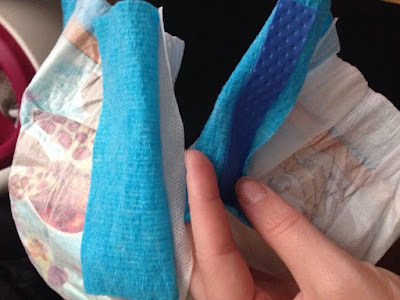 If I have nothing with me, I let the kids go in in their regular nappies but they absorb water so quickly and they come out looking like punchbags. The Little Swimmers nappies don't absorb any pool water, leaving them flat against your child but still absorb wee. They go on like pull-ups and they even have stretchy sides so your child's movement isn't restricted in the water. Removing them is super simple too. There are adhesive strips down the sides so you literally pull them off and you're ready to go! 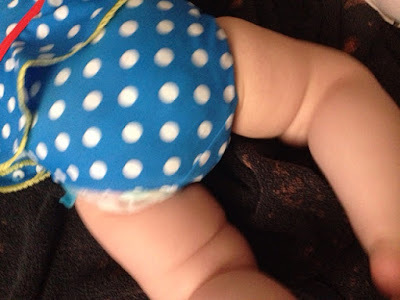 Huggies are the UK's number one swim pant and it's not hard to see why. 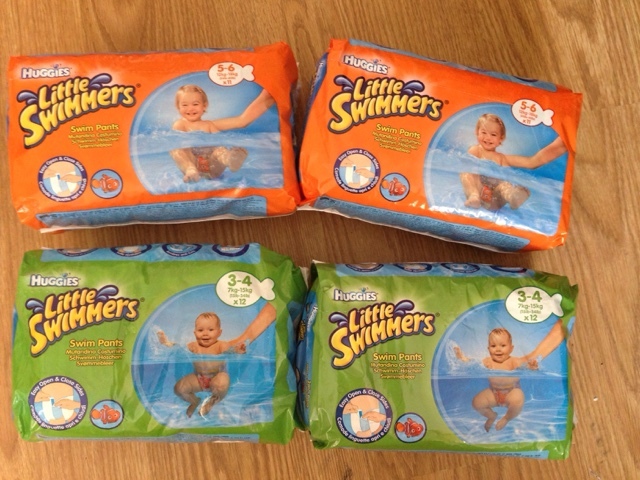 The Huggies Little Swimmers retail at £5.90 per pack and they are available from most major supermarkets. However you and your children plan to have fun in the water this summer, I have the perfect prize for you. Huggies have teamed up with Mum of a Premature Baby to offer one lucky winner a year's supply of Huggies Little Swimmers. 138 comments on "Huggies Little Swimmers Review & Giveaway"
Size 3-4 as I don't know if the biggest one will fit Matthew. So Chloe gets some if I win. I would need size 5-6 Thanks! Size 3 - 4 Please! I think my niece is a 5, so the 5-6. Imogen's size 5 - 6. She just loves swimming, and was ever so proud of the fact that she was kicking all by herself in the pool the other day! Size 3-4, please. We love Little Swimmers! I think size 5-6 would work best for my daughter. size 3-4 would be fab, thanks for the chance.